Tim HR harus siap punya karyawan virtual.. 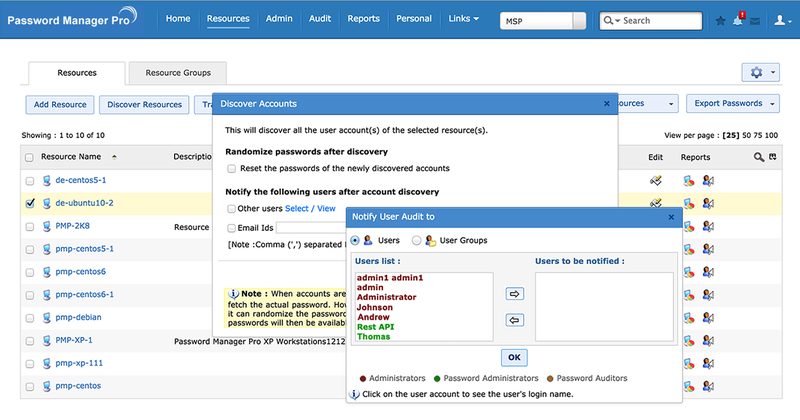 Password Manager Pro provides the option to automatically discover the IT assets in your environment and enumerate the privileged accounts associated with them, thus helping enterprises to secure all their privileged identities in quick time. It also helps randomize the passwords of the accounts upon discovery and thereafter in periodic intervals. PMP discovers flavors of Windows, Linux, VMware and Network devices. It also discovers the service accounts associated with Windows domain accounts. This feature automates privileged accounts addition and reduces the entire process to a few steps. 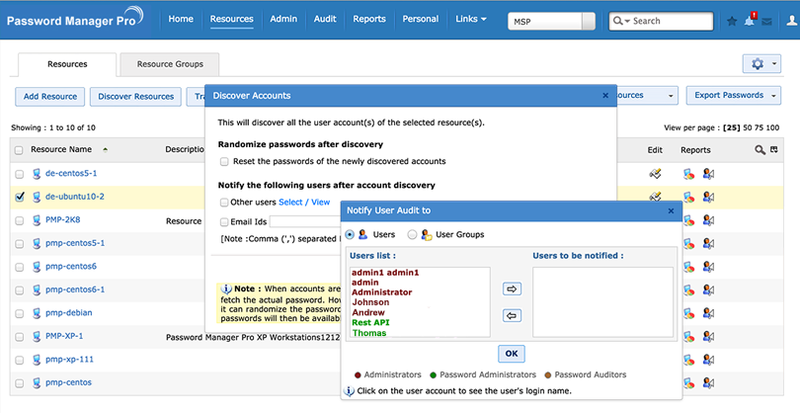 How does PMP discover IT assets and privileged accounts? WMI API is used to connect with the domain controller and fetch all the IT assets that are connected to it. For Linux devices, TELNET must be configured. SNMP versions , namely - V1, V2C, V3 are used for discovering the network devices.